Browse our excellent collection of tarragon recipes, including Nathan Outlaw's whole Dover sole with tarragon and lemon stuffing, Greg Malouf's salad Shirazi, and Chris Horridge's potage of vegetables. 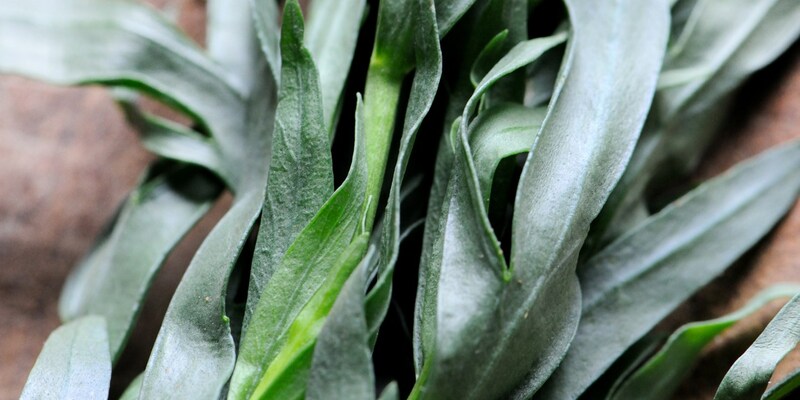 Tarragon is a mainstay of French cooking where it's an essential ingredient in Béarnaise sauce and often used in chicken, egg and fish dishes. With long stems and narrow leaves, tarragon has a strong aroma and intense flavour, which is slightly spicy with a hint of anise. Classic French tarragon recipes include Shaun Rankin's Béarnaise sauce, decadent with lobster and triple cooked chips. Geoffrey Smeddle adds tarragon to his hollandaise sauce recipe for poached eggs, whilst Tom Aikens combines tarragon with saffron in bouillabaisse, the classic French seafood soup. As a testament to its versatility, tarragon can benefit both rich dishes and lighter dishes alike. Nathan Outlaw includes tarragon in his creamy tartare-style mustard sauce to go with grilled plaice, there's Paul Heathcote's glazed carrots with tarragon and garlic, and Marcus Wareing's beetroot recipe with walnuts and mascarpone. Tarragon can be purchased fresh or dried, the latter of which is excellently suitable for soups, marinades and dressings. Tarragon has a strong flavour and can easily dominate a dish if not used sparingly.